Here is the new String King Short Scale Bass from Joe's Guitars. This is the first model available from my new line. 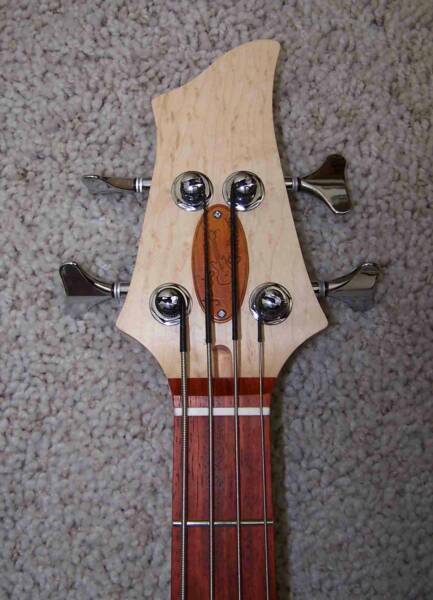 This great little bass with a 30" scale features an Alder body with a bolt on maple neck. Shown in the photo's of the first one built is an alder body with a orange stain and satin lacquer finish. The neck has a Paduk finger board on a maple neck also with a satin lacquer finish and matching Paduk side dot markers. 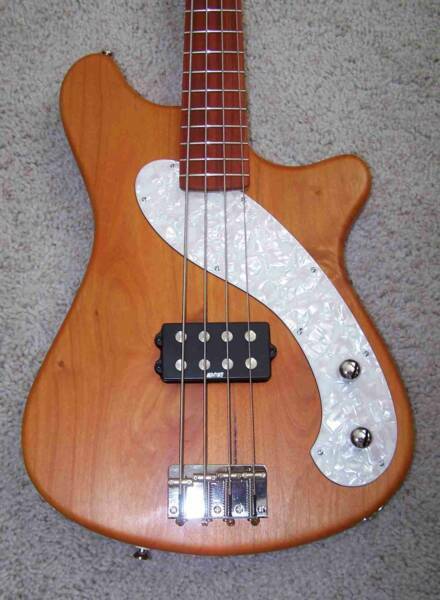 Electronics are 1 humbucker bass pickup with 1 volume and 1 tone control. 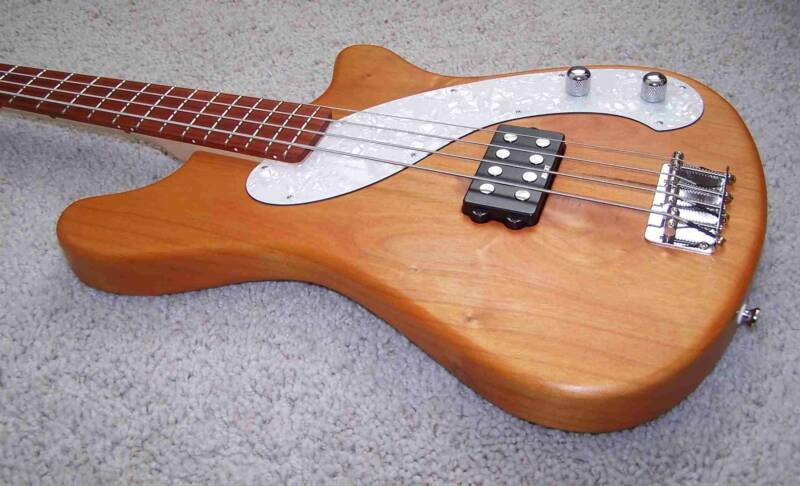 A very simple but rockin' little bass. Comes with a gigbag or for an extra $70 you can get it with a hardcase. This model is ready ready for production. Order time is approximately 2-3 weeks for this model. Direct Price: $995.00 w/gigbag and lifetime limited warranty.